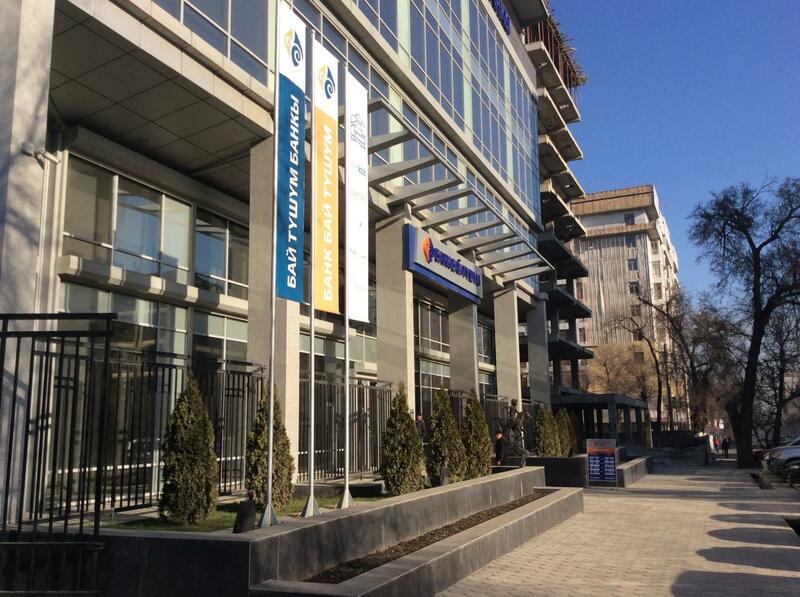 As the first microfinance institution in Central Asia to receive a full banking license in November 2012, Bai Tushum Bank has transformed itself from having 400 clients and a US$600,000 portfolio in the year 2000 to more than 28,000 clients and a US$102 million portfolio today. I had the opportunity to chat with Gulnara Shamshieva, chief executive officer (CEO) of Bai Tushum Bank, on how the organization has kept social mission at the heart of its growth in the last 15 years and where it is heading in the next five years. Gulnara Shamshieva has been the CEO of Bai Tushum since April 2001. She is a mother of two and has two grandchildren. The following are excerpts of our conversation with some editing for length and clarity. What are some key trends shaping the microfinance industry in Kyrgyzstan? Gulnara Shamshieva: The minimum capital requirement to be a microfinance institution in Kyrgyzstan is low which creates a large number of such institutions here. For example, no capital is required to be a non-commercial microfinance institution for NGOs. At one point about five years ago, there were about 500 microfinance institutions in the country. The number of people receiving financial access was growing rapidly with the microfinance sector having about 400,000 clients in total, it was about 700,000 clients when we include the banking sector. One of the key challenges that microfinance institutions in Kyrgyzstan face is currency risk if they receive funding in US dollar. They usually use hedging and depend on the local commercial banks to minimize currency risk, but hedging cost is still too high currently. At Bai Tushum Bank, although we have access to funding from international markets, the high dollarization of the economy is very challenging for us. We have a shortage of local currency, it’s a paradox. We cannot provide dollar facility to small businesses as it is risky. Today, 40 percent of our portfolio is in US dollar growing from 15 percent last year. Bai Tushum Bank's social mission is to provide financial access to those who do not have access to the financial sector. How do you ensure the Bank stays on course with its original vision in providing financial access to the poor, and balance social and financial performance? Gulnara Shamshieva: We serve a range of very small to large clients with loan sizes starting from US$200 up to US$300,000. Our social mission is to provide funding to those who do not have access to the financial sector. Our interest rates are low compared to other financial institutions in the market and our products are designed with sustainability and continuous access to funding in mind. We want our customers to be able to take a loan, develop their business, support their family, send their children to school, repay the loan, gain at least a small profit, and have access to the next cycle of loan. Having access to small loans really does change the lives of the poor, we have seen people who came to us for US$1,000 loans eventually grow to take up US$100,000 loans. Small loans help to start their businesses and they change their lives with continued access to funding. Besides having access to loans, savings is important for the poor to improve their lives. The local microfinance institutions often focus only on giving out loans and neglecting savings. While the regulation in our country allows microfinance institutions to provide deposit services, no organization offer the service besides Bai Tushum at that time. When we received the deposit license as a microfinance institution in September 2011, we opened the service to our client base and grew our deposit portfolio to US$1 million in 2012. We also have a very good network that reaches the rural communities with branch offices in the seven districts of Kyrgyzstan and 73 satellite offices. This is important for communities who could not travel to bigger towns to reach a financial institution. Where do you see key opportunities for growth in the next five years? 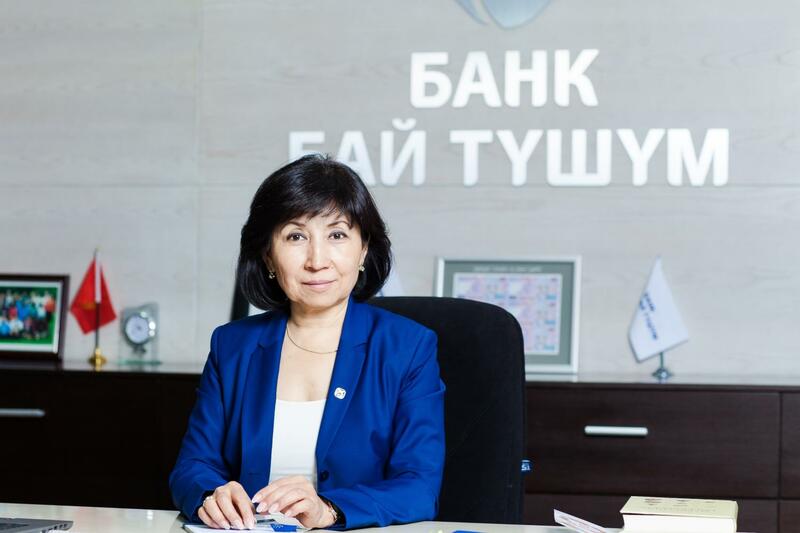 Gulnara Shamshieva: We want to be the top three banks in Kyrgyzstan within three years [Bai Tushum is currently the seventh largest bank in the country]. We see big opportunities in the SME [Small and Medium Enterprise] sector as SMEs are major sources of income in our country. We are building our portfolio in this area. Our aim is to be the bank that supports entrepreneurship. With Kyrgyzstan being a part of the Customs Union [Eurasia Economic Union], businesses here will have access to larger markets including Russia, Kazakhstan, Belarus and Armenia. 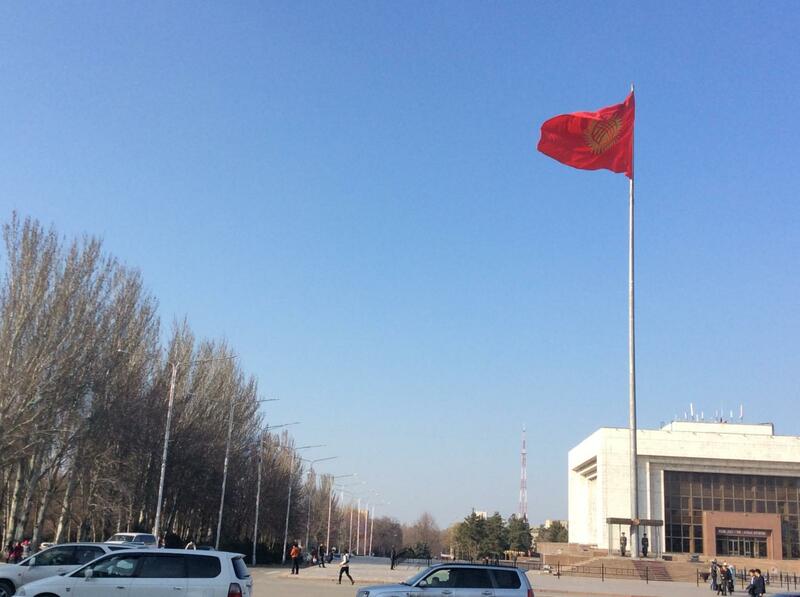 Uzbekistan is another big market that we are looking at. We are developing our entrepreneurs and equipping them with new technologies so they could compete in these markets. New technologies such as green and renewables will be integrated into our strategy moving forward. About 45 percent of our current portfolio is in agriculture. We have a good livestock business in Kyrgyzstan, it should be supported with innovation and technologies which increase the volume of production and efficiency. We will differentiate ourselves by providing value added services to entrepreneurs beyond the traditional products. We are developing a platform for our clients to exchange experiences as they grow their business. 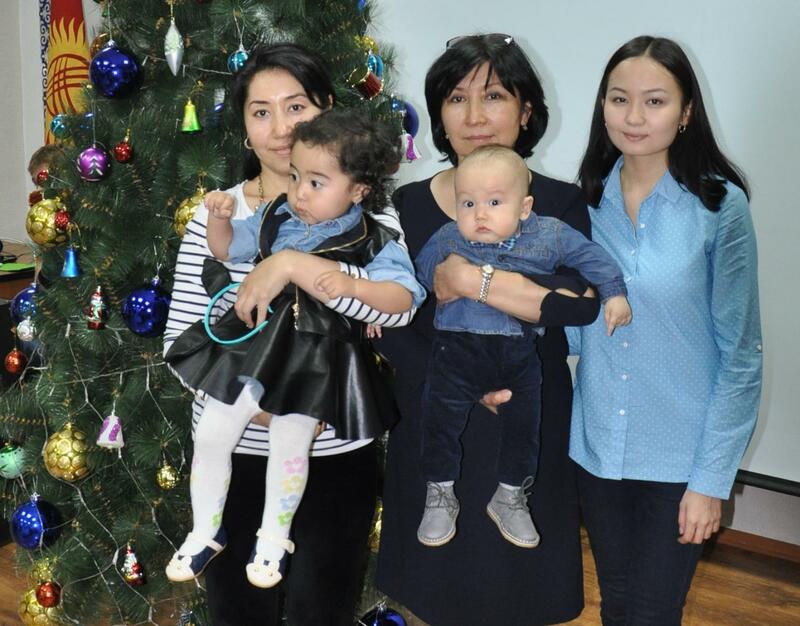 Gulnara Shamshieva and her family. With a diverse background in education and work experiences, how have you personally change as a leader in the past years? 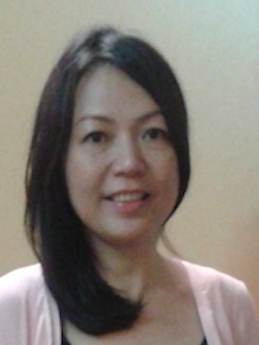 Gulnara Shamshieva: In the microfinance industry, people come from different background. I was an engineer, but after losing my job during the fall of Soviet Union I went on to study law and finance. Microfinance was a new area for me and also a new development in Kyrgyzstan at that time. I have personally grown with Bai Tushum. We have gone through challenging times and also achieved many successes in the last 15 years. I used my engineering skills to build the technical aspects of the organization and conducted many trainings in the early days. I also read a lot of materials from CGAP to understand the industry better and went on to be a certified accountant and received qualifications from ABA Stonier Graduate School of Banking. I believe when you can raise two children at home, you can manage 800 people in an organization. I have gained much experience as the CEO of Bai Tushum, but my management style has not changed. I am a straight forward person and together with my management team, we are developing an open culture in the Bank. My door is always open to anyone who wants to discuss an issue, or if they prefer to write me an email I will respond. We have a strong management team in the Bank who also works on the same principles. *For more information on Bai Tushum Bank's portfolio in Kiva, please visit: http://www.kiva.org/partners/171.